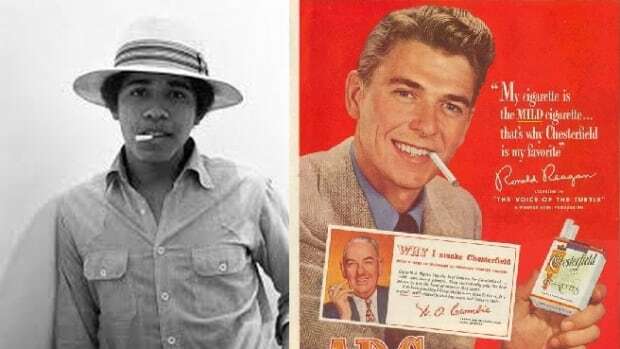 It's curious how conservatives continue to harshly judge Obama over facts that were much more true of their idol, Ronald Reagan. "Are we a nation that kicks out a striving, hopeful immigrant like Astrid, or are we a nation that finds a way to welcome her in? Scripture tells us that we shall not oppress a stranger, for we know the heart of a stranger –- we were strangers once, too." "You know it really is effective when the president has Rachel Maddow excited about scripture. This is a big night." Contrary to popular belief, however, non-atheist liberals have a tremendous amount of respect and affection for Christianity, particularly the wisdom contained in well-chosen scriptures like these. It&apos;s the acts and ideas of specific Christians that we often object to. To them, and to those in the ostensible center of the country&apos;s political landscape, that quote was a big win, a concise summation of our nation&apos;s welcoming ethos. In conservative-land. reaction to the president&apos;s biblical moment was immediate and explosive. On Twitter, conservatives slammed the president for daring to quote the Bible, while Breitbart said that Obama " despises the Bible, and apparently knows only one verse." On Fox News, Bill O&apos;Reilly, Charles Krauthammer, and Ed Henry painted the quote as cynical and insincere, and O&apos;Reilly called Obama "perhaps the most secular president we have ever had." Obama&apos;s religion has, of course, been a popular line of attack with his opponents since before he was president. It has always been my personal policy never to judge another man&apos;s faith, as only he and God (if there is one) can truly know what&apos;s in his heart, but since O&apos;Reilly and the rest of the right have seen fit to do it anyway, let&apos;s take a look at O&apos;Reilly&apos;s claim. Setting aside lunacy like the right&apos;s insistence that Obama is simultaneously a Muslim and was brainwashed by a Christian pastor named Rev. Jeremiah Wright, let&apos;s examine the demonstrations of faith that conservatives seem to care so much about. It&apos;s true that President Obama doesn&apos;t go to church every week, but very early in his presidency, he explained that the disruption that his security needs produces was too great a price to ask a congregation like that of St. John&apos;s or the Nineteenth Street Baptist Church, where the Obamas have attended services on multiple occasions over the years, instead opting to worship more regularly at Camp David&apos;s Evergreen Chapel, as President George W. Bush did. The question, in my humble view, turned out to be better than the answer. The Reagan people in the audience didn&apos;t agree. They hissed when I asked it. I thought my question was airtight, mentioning the possibility of bringing a preacher to the White House or Camp David. 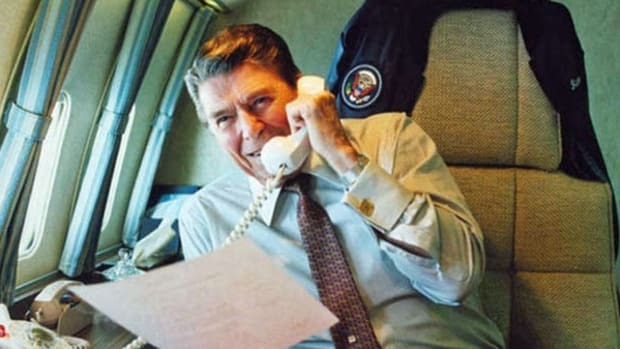 Reagan ignored all that and said he didn&apos;t go to church for security reasons, to protect both him and the church (from being blown up by terrorists). 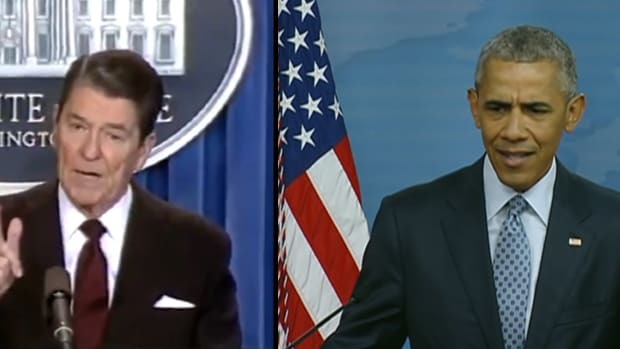 Reagan was totally off his game. Afterwards, I approached him to shake hands. He knew he&apos;d done poorly and looked stricken. 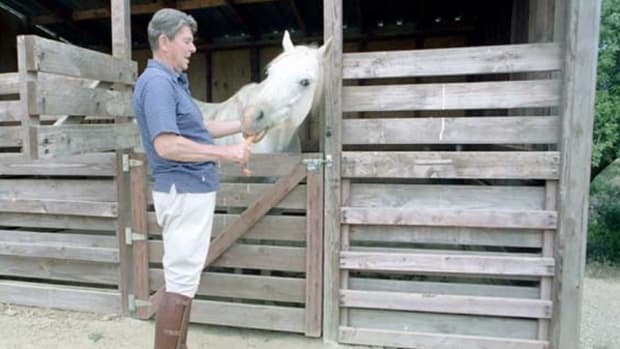 In fact, according to conservative columnist Michael McManus, Reagan only attended church once in his eight years as president. He also never visited the Holy Land. But church attendance isn&apos;t everything. Maybe Ben Shapiro is right, maybe this is the one and only Bible verse the president knows, and he&apos;s busy playing Candy Crush when he&apos;s at church. Or maybe not: Obama has quoted a variety of scriptures in at least 36 speeches since becoming president. That&apos;s not including the way he says, "God Bless America" like he thinks the Statue of Liberty has hay fever. 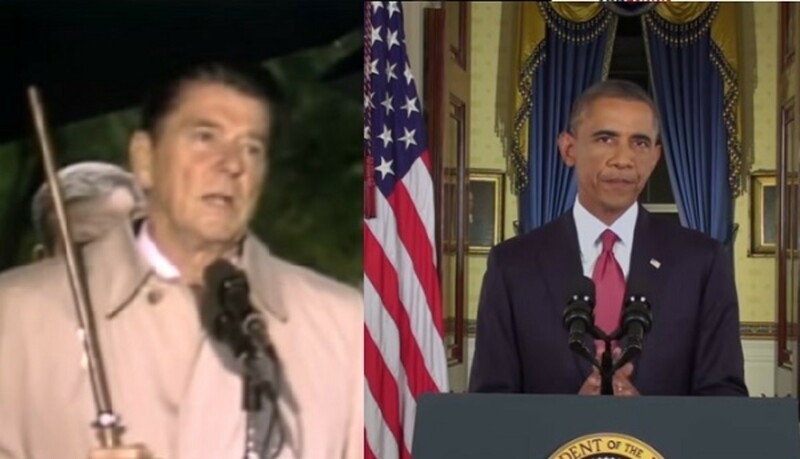 Speaking of marriage, Reagan was divorced, while Obama (knock on wood!) has kept his promise to God. 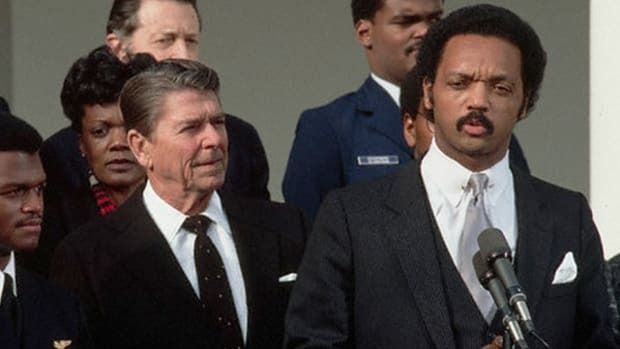 To be clear, I think Reagan should have told Barnes to shove that question where the pew don&apos;t shine, because faith is an intensely personal. 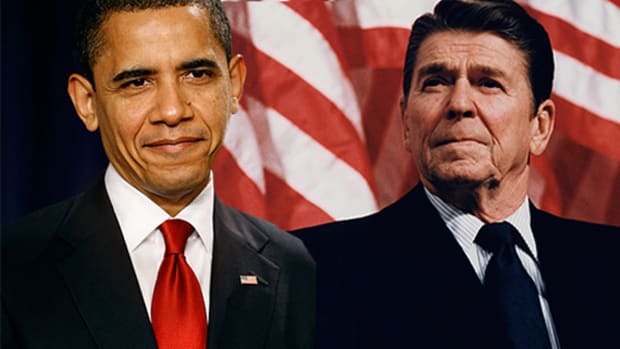 largely irrelevant part of a public official&apos;s life, but it&apos;s curious how conservatives continue to harshly judge Obama over facts that were much more true of their idol, Ronald Reagan. For whatever reason. 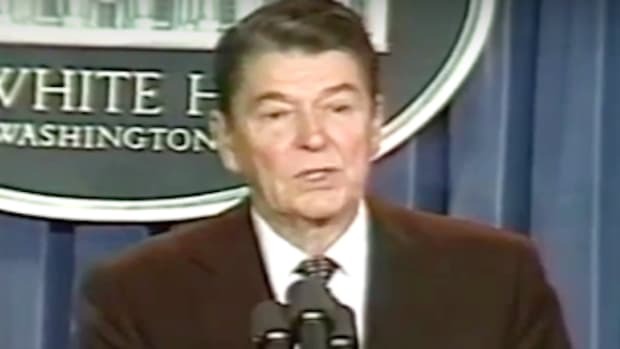 Watch Ronald Reagan Argue That Filling Supreme Court Vacancy Is "A Constitutional Obligation"